Siding - Coverup Enclosures is a General Construction Remodeling Company in Mid Michigan serving the Areas of Grand Rapids, Lansing, Ionia, Lowell, Grandville, Greenville, Portland. High quality work and energy efficient work and products have kept us open for over 25 years. CoverUp Enclosures are the pros to go to when considering siding for your home. With over 50 years combined siding and trim experience, not only do they bring their wealth of knowledge to the table, but Doug Borup throughout the years also has received professional kudos, including being the recipient of the prestigious Alcoa National Siding Award (only 10 are awarded nationwide). 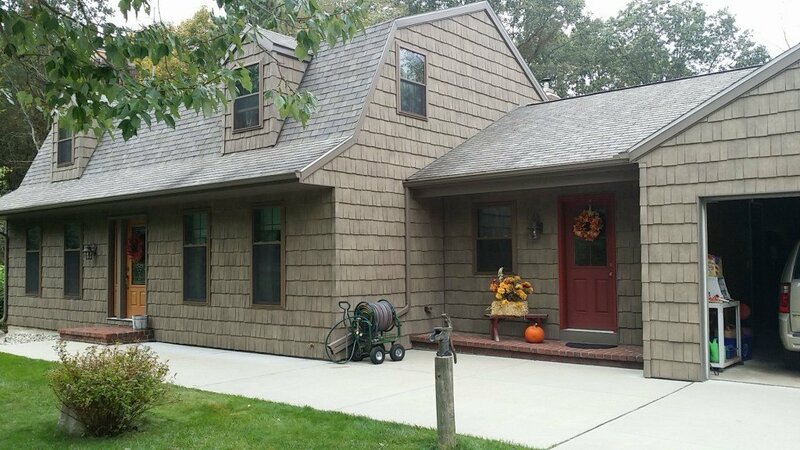 Nothing gives great curb appeal to a home like new siding. CoverUp Enclosures uses only nationally recognized brands, and they can guide you when choosing a color and style that you love. When it comes to versatility and cost effectiveness, new siding by CoverUp Enclosures is a wise choice. You will be amazed on how it will transform your home’s appearance in addition to increasing its value. New siding can convert your house from drab to WOW. CoverUp Enclosures is your siding expert, and representatives boast over 50 combined years of experience. Paint is expensive and continual. You will find yourself asking, “Didn’t we just paint this?” You won’t do that with siding. Siding increases the value of your home. Maybe you are not considering selling it right now, but should you suddenly decide to sell your house this is just one more feature that will help you get a higher price. Representatives at CoverUp Enclosures will help guide you in choosing a style and color that you love. Not only will you be amazed at the choices available, but you will be more amazed at the transformation of your home once you decide that siding is for you. In addition to the 50+ years of experience as a siding installer, CoverUp Enclosures uses only trusted premium products. You can put your trust in them when making your remodeling decisions.